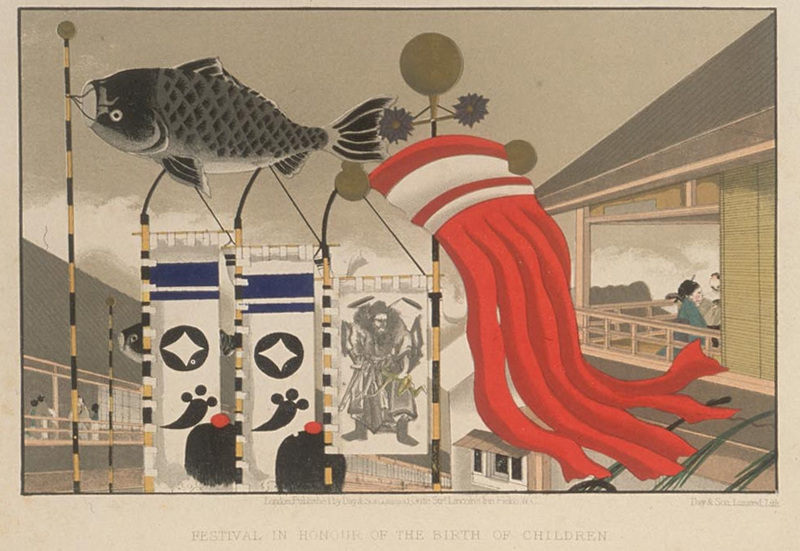 Japanese publisher Doshisha has scanned and published online a book written in 1867 by traveler J. M. W. Silver called Sketches of Japanese Manners and Customs. An album of the book's beautiful sketches can be found here. A sketch of koinobori on Boy's Day.